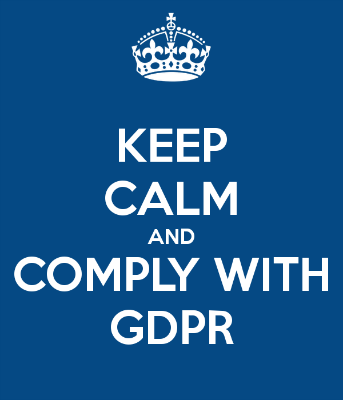 Even if you don’t own an online business or website, you’ve probably been made aware of the GDPR by the slew of emails that you received in May from all the places you are subscribed to online that have notified you of updates to their policies. This is a law in the EU, but it applies to all of us that have ANY visitors and customers from the EU…which means that applies to Homeschool Realm. Honestly, I’m ok with this…this GDPR thing seems like a really smart idea and I hope the US follows suit some day. Most of us will already be set up for it, so it should be an easy thing to implement by then! ANYWAY…I just recently switched web hosts from one that I was very unhappy with to one that so far I’m MUCH happier with… Plus I now have SSL certificates included in the new hosting, which complies with Google and Paypal security rules and makes my site much more secure, YAY! Hence the new “https” you now see in your browser…but I digress. It’s the little things that make us web geeks happy, I tell ya!! I just got to the policies page for the new Moodle install that refers to GDPR and I realized that I am going to have to get some work done here to make sure that I have everything set up properly to comply fully. Particularly since my users are primarily children. SOOO, all this to let you know that I am really gung ho about revamping and fixing up Noodle Homeschool and FINALLY getting my Amazing Race courses revamped and up for sale again (as I’ve been trying to do for far too long), AND I have so many ideas for new courses as well…and now that I’m deep in Moodle again, I’m SUPER EXCITED to do all this!! Just started binge watching Lynda.com (which I get free through my local library!) tutorial videos on Moodle to fully understand the full potential of Moodle! Having a blast and learning SO MUCH! and make sure I do this properly. So that’s where I’m at now, and I want my visitors to be aware what I’m working on. And to know why Noodle Homeschool currently has a maintenance message and is inaccessible. Oddly, I actually enjoy sorting through this sort of thing….like untangling a big knot, which I also enjoy. Weird one that I am, LOL!! So now I’m off to go work on my policies on Noodle Homeschool and double and triple check that I have everything fully compliant with GDPR before I move forward on the rest of the revamp on Noodle Homeschool. Our "Currently Reading" books added, and do you know about Goodreads?